Formed in 2001, Hickory Project features hard–driving traditional and original acoustic music deeply rooted in bluegrass. The band is a powerhouse of musical prowess with the expert licks of National Mandolin Champion Anthony Hannigan, Jillian Hannigan, Ed Lick, and Chris Kearney. Hickory Project is globally acclaimed. They have captivated audiences throughout Europe and the US, and even as far away as Australia. The band is known for their genre-jumping unpredictability mixing Celtic, jazz, swing, Appalachian, and blues with a rock-solid bluegrass foundation and brilliant harmony vocals. Whether it is straight-forward traditional or a flare for the new realm in acoustic music, Hickory Project is a tour-de-force. Anthony Hannigan (mandolin, fiddle, banjo, vocals) is a National Mandolin Champion and has been playing bluegrass music from the age of four. Anthony has been involved with many recording projects and major artists for years. 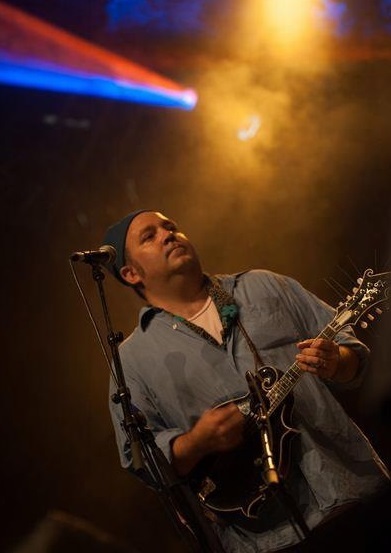 He is accomplished on the banjo, guitar, and fiddle as well as the mandolin and is the inspiration and writer of most of the band’s original music. He is the founder of the Blue Merles, which took first place in the 1997 Winterhawk band competition. Anthony’s influences range from Vassar, Van Halen, Monk, Cavage, Pass, Moorse, Prince, Monroe, Parker, Baker and perhaps even James Brown. Whether it is creating tunes, or performing with the band, Anthony will leave an impression lasting long after the performance is over. Jillian Hannigan (double bass, flute, pennywhistle, vocals) is a native of Virginia, but surprisingly she was not introduced to the world of bluegrass until later in life. That late introduction has not hindered her love for the music though. Jillian grew up playing classical, folk, and Celtic music with her twin sister and parents, and now enjoys the company of her three children and husband, Anthony who keep her very busy. She studied music and communication at George Mason University and continued her studies at Mansfield University earning her Master’s in secondary social studies education. Jillian combines her love of early jazz, Celtic, bluegrass, and jamming to bring a vibrant and distinct dimension to the band. Ed Lick (banjo, mandolin, vocals) grew up in Collingswood, NJ. His dad had always listened to bluegrass but it didn't get into Ed's soul until age 13 when “Dueling Banjos” was blasting the airwaves in 1973. His parents surprised him with a banjo for Christmas that year, and he hasn’t been the same since! During the 70’s the Seldom Scene and John Stey, the leader of a Philadelphia based bluegrass band, Skookil Express were very influential. Ed has been performing professionally since age 15. His bands have opened for the likes of Kathy Mattea, T. Graham Brown, Charlie Daniels and Eddie Rabbit. Rhythm guitar and pedal steel are other instruments Ed loves to play. More recently he has taken up the mandolin. When he is not playing you can find Ed sailing the seas as a seasoned sailing captain. Chris Kearney ( guitar, vocals) - Grafting his passion for Appalachian music and harmony singing to 21st century sensibilities, Northeast Pennsylvania-based singer/songwriter is making his own moves in a genre that’s heavy on the tradition. With a foundational repertoire of bluegrass material you’d expect a artist twice his age, Chris is filled with non-stop enthusiasm and passion for making music. He has expanded the reach and relevance of traditional music with his unique and hard-driving sound. 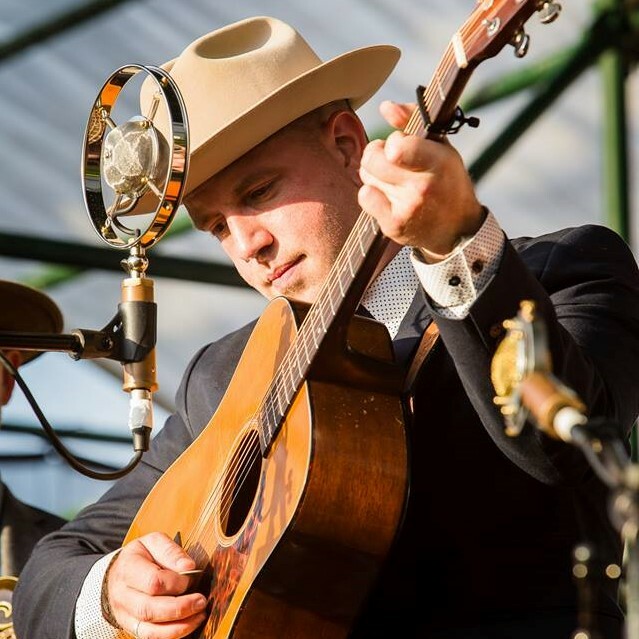 Chris has shared the stage with a range of nationally touring acts including Emmylou Harris, Carolina Chocolate Drops, The Lumineers, The Grascals, and The Roys, and budding groups such as Cabinet, The Tillers, Wood &amp; Wire, and The Barefoot Movement.